Hearing loss is the third most common health condition in the United States. Hearing loss is often overlooked due to the invisible nature of the condition; however, it affects as many as 48 million Americans. The stigma of hearing loss often prevents individuals from seeking treatment for a hearing impairment, but early intervention is one of the best ways to maintain the health of your auditory system. This is especially important for those over 50, as there is a strong correlation between aging and hearing loss. By receiving regular hearing test, seniors can reduce their risk of developing permanent hearing loss. Some conditions are easy to identify and are therefore more likely to be treated quickly. A toothache, for example, is not likely to be ignored for an extensive length of time. However, hearing loss can be difficult to discern. In many cases of noise-induced hearing loss, the impairment occurs over a lifetime, making it much easier to adapt to. On average, people wait up to seven years to seek treatment for hearing loss. During this time, untreated hearing loss can take its toll on many areas of your emotional, physical and mental well-being. For this reason, audiology professionals recommend annual hearing exams for all individuals over 50 years of age. A standard hearing exam takes approximately an hour to complete, and generally involves a physical examination of the ear, sound-based tests and a consultation with a hearing professional. The test will gauge your auditory capabilities and determine if the use of hearing aids is necessary. If hearing loss is diagnosed, your hearing health professional will generally provide a personalized hearing treatment plan, which may involve auditory rehabilitation and assistance from listening devices. 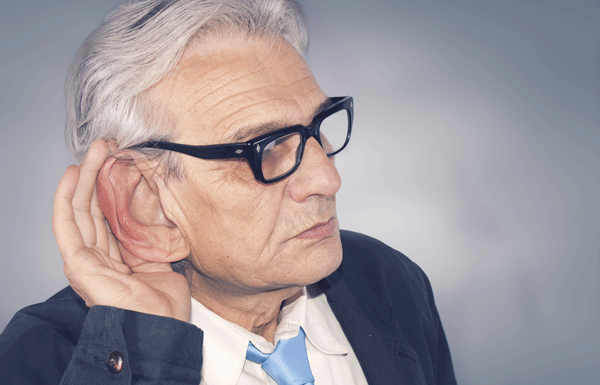 When hearing loss is identified, it is important to seek immediate treatment. Left untreated, hearing loss can worsen and even impair cognitive function. If you or a loved one is over 50, makes sure to include annual hearing exams as a part of your preventative health routine. To find a quality doctor of audiology in San Diego, contact our team today! San Diego Hearing Center has decades of experience providing expert level care. Our clinic offers a range of hearing-related services, including diagnostics, hearing aid repair and hearing loss treatment. Additionally, we pride ourselves in dispensing only the best hearing aids in the industry. To learn more, contact our staff at (619) 298-8546.